Touch the Edge of the Arctic! Due to a retirement, the Town of Moosonee is looking for a Manager of Public Works. Moosonee is located on the Moose River in Northern Ontario, 12 miles south of James Bay. It is considered to be “the Gateway to the Arctic”. Moosonee is not connected to the road system in Ontario and all travellers arrive in Moosonee by train or plane, or on ice roads. Scheduled train services are provided by Ontario Northland, from Cochrane, Ontario. Scheduled air transportation services are provided by Air Creebec and Thunder Airlines. The permanent population of Moosonee is approximately 2,000 with about 85% being Cree. 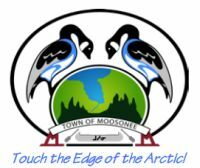 The Town of Moosonee is seeking a highly motivated and qualified individual to fill the position of Manager of Public Works. Reporting to the Chief Administrative Officer (CAO), the Manager of Public Works will be a member of the Senior Management Team and will be responsible for planning and directing road and bridge maintenance and construction, street lighting, sewer and water systems, landfill sites, cemetery, and other municipal infrastructure. A university degree or college diploma in Civil Engineering or other related field, or certification as a Certified Engineering Technologist (CET). An equivalent combination of education and experience may be considered. Experience in construction, maintenance, or repair of municipal facilities would be considered an asset. Candidates must have a valid Ontario driver’s license. Minimum 3 years’ experience in municipal public works, preferably at the management level. Strong knowledge of provincial legislation and policy that affects the operation of municipal public works. Proficient in computer applications such as MS Word, Excel, PowerPoint, and asset management software. Ability to follow policies, meet deadlines, function well under pressure, and respond to frequently changing demands and lead a team. Strong oral and written communication skills, including superior report writing and presentation skills. Attendance at evening Council meetings are required when necessary. Experience in federal and provincial grant funding application processes, tender and RFP processes. Experience in health and safety regulations, accessibility regulations, and labour relations. Ability to supervise Public Works staff. In accordance with the Municipal Freedom of Information and Protection of Privacy Act, personal information collected will be used only for the purposes of this employment opportunity. The Town of Moosonee is an equal opportunity employer that is committed to inclusive, barrier-free recruitment and selection processes. Please contact us if you require this posting in an alternate format. If contacted for an interview, please advise if you require accommodation. We thank all candidates who apply but advise that only those persons selected for an interview will be contacted.